Both men and women are at risk of developing bowel cancer. But for those aged 50 years and over, the risk increases. If detected early, treatment has up to a 90% success rate. 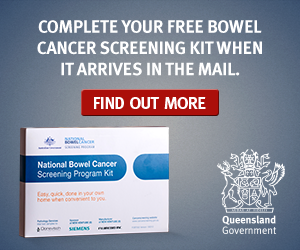 Bowel cancer is the fourth most common cancer in Queensland and more than 1,000 people die from it each year. 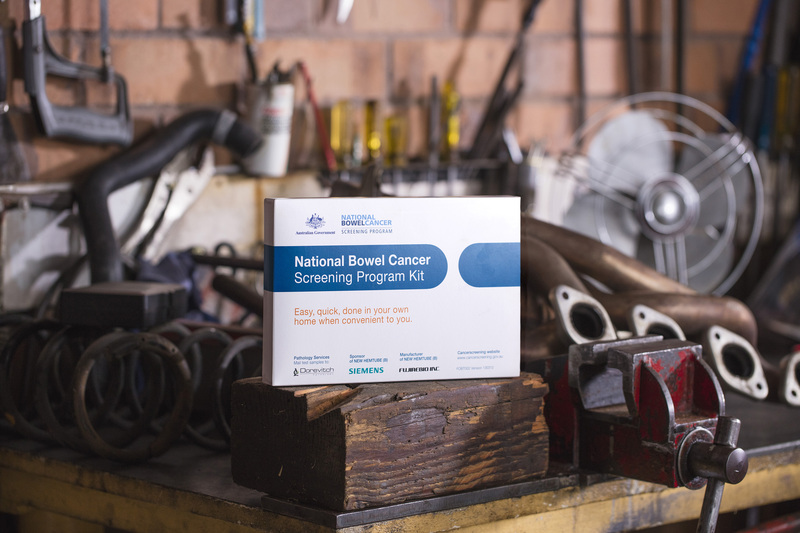 The National Bowel Cancer Screening Program (NBCSP) is a Commonwealth Government initiative that provides a free test kit to eligible men and women to test for early signs of bowel cancer. 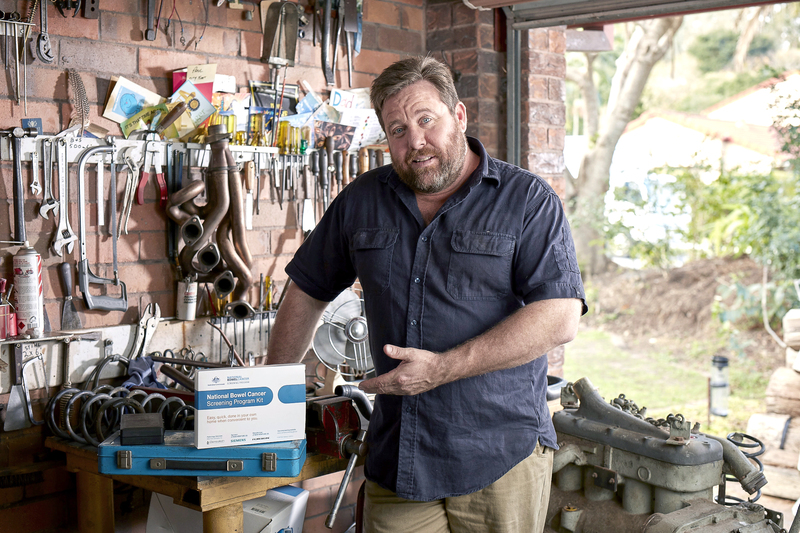 The program is currently expanding and, when fully implemented, all Australians between 50 and 74 will be invited to screen every two years. 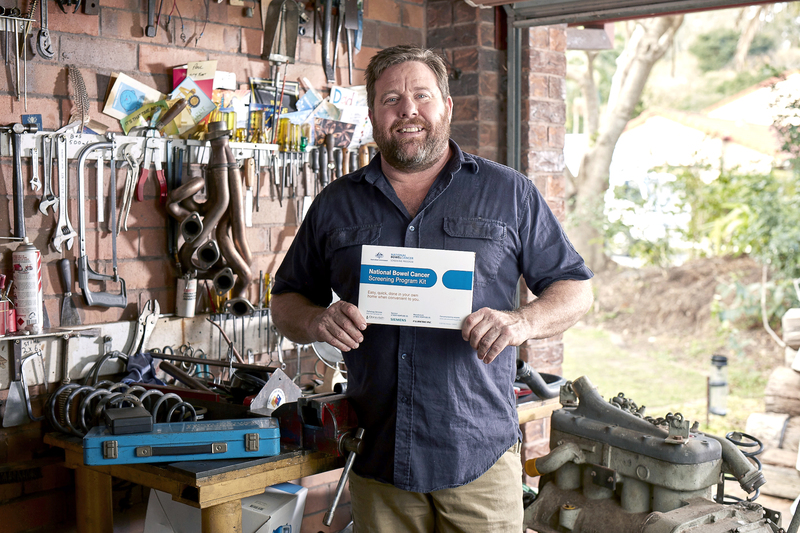 Despite the effectiveness of early testing, screening participation rates in Queensland are very low. 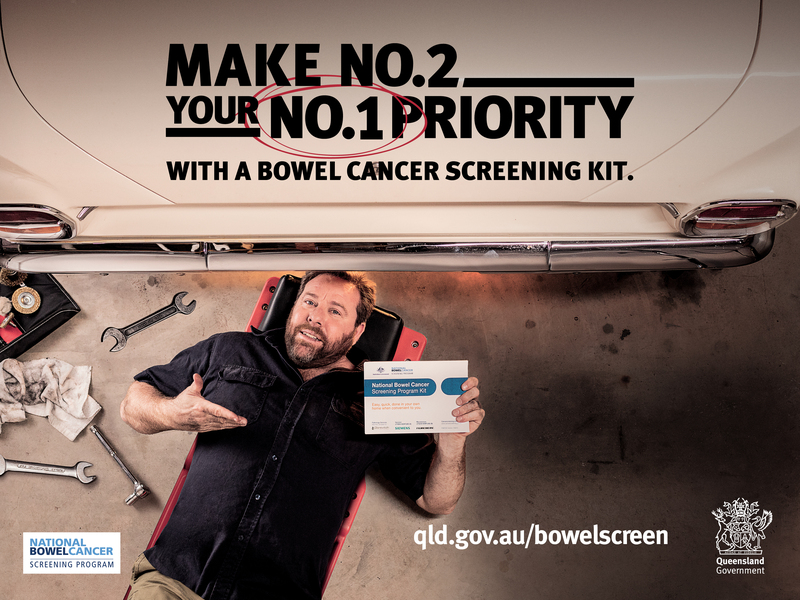 The Make No.2 your No.1 priority campaign was developed by Queensland Health to increase awareness of bowel cancer and encourage greater participation in the National Bowel Cancer Screening Program. 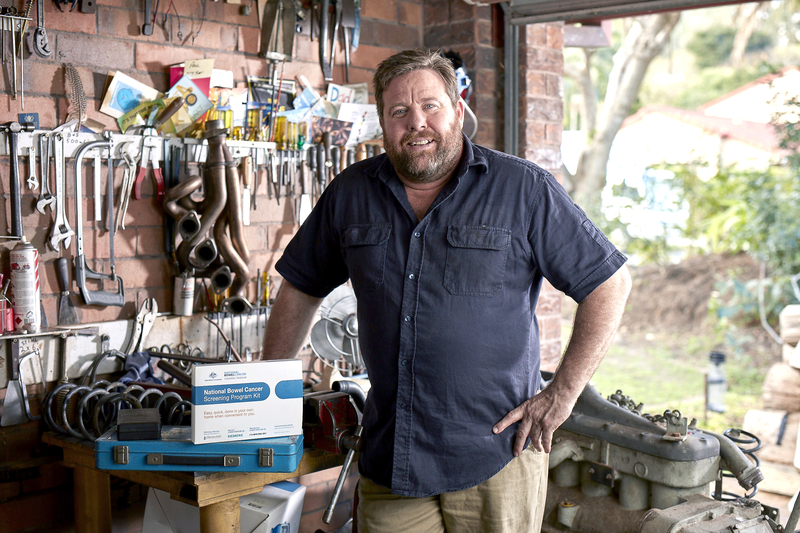 The campaign which was introduced in September 2016, features Australian comedian and actor Shane Jacobson shamelessly using humour to encourage everyone who is aged 50 or over to take the time to use the free bowel cancer screening kit. 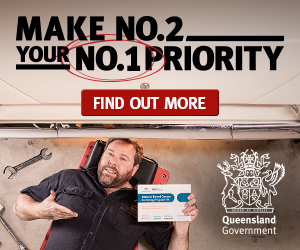 The Make No.2 your No.1 priority campaign will be running for the third time from 27 August – 31 October 2017 across TV, radio, out-of-home, digital display, search and social media. Queensland men and women aged 50 – 74 years. The Bowel Screen Campaign talent agreement expires 28 August 2019.